Are you in need of some magical office cleaning tips that will change your professional life for good? Do you find office cleaning the biggest challenge in your life and still don’t know what to do or where to start? When you have poor office Cleaning Services in Dubai, finding untidy desks is quite often. So we jotted up some useful office cleaning tips that address your problems to fix the issues of messy keyboard, cluttered desk and unorganized files. In an office space, the most irritating cleaning challenge is to keep those white papers in place that can’t be kicked off from your corporate life. Whether it’s sticky notes that remind you of an important task or a file that keeps some important information in place, if you leave them carelessly they’ll create problems. So make sure the papers not scattered everywhere in your work space. You’ll find clips and pins very useful to handle these weightless but irritating papers in a strategic way. If you’re one of those people that put off electronics cleaning, you’re at risk of adopting different health issues. Whether it’s your keyboard, desk surface or anything that you touch millions of time during the day, you need to clean them on daily basis. Don’t speculate the cleaning level if an item looks neat from outer surface as it might be dirty from inside. For example, you can easily spot debris and crumbs inside of your keyboard that indicates the poor level of cleaning measurements in your workspace. 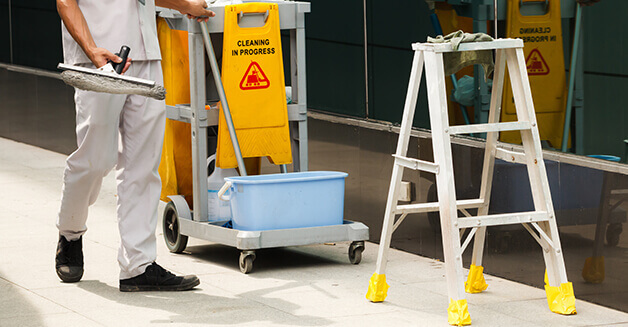 If you can’t do it yourself, you may hire professional cleaning services in Dubai to do the job. When cleaning up your workspace, never forget your true friend that keeps everything in place for you – work desks. It’s not you only who has a cluttered desk but you need to do something about it if you want to be organized in your professional life. Avoid piling up things over each other as it would make things even confusing for you. You may divide the desk into different section and can easily manage all important items you need on daily basis. The fourth and very important tip in our office cleaning tips is to stay organized when it comes to office cleaning. Keeping your office clean is not very hard, all you need to do is adopting few habits and you can easily get that clean and neat office space you always aspired. Whether you work from a cubicle or sit in a big room with different cupboards, you need to be very organized. If you forget things, you can label each section and prioritize each corner for a specific thing. This way, you can easily maintain a neat atmosphere at your workspace and be in charge of cleanliness. Do share your office cleaning tips in comment section below and share the strategies you use for maintaining a clean office space.